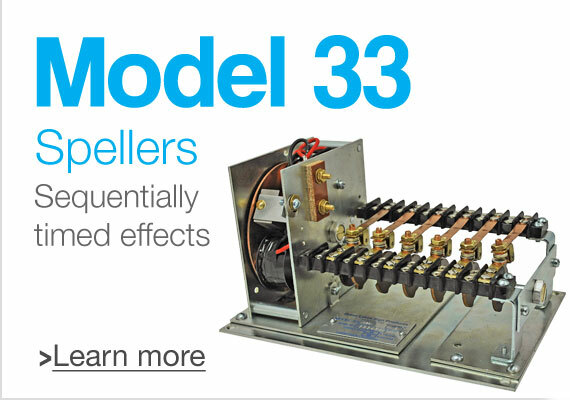 Great Lakes Sign Products is the exclusive manufacturer of FMS brand flashers and chasers. 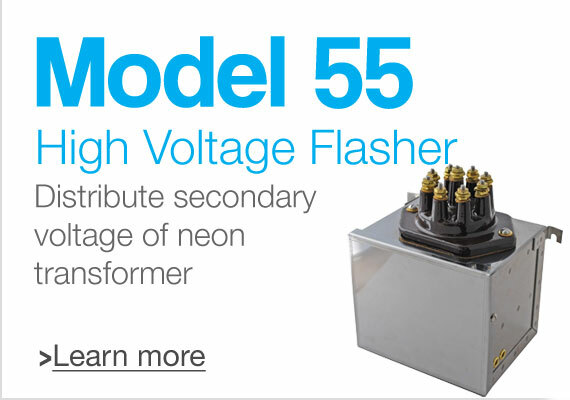 FMS began manufacturing mechanical flashers in the late 1950s. 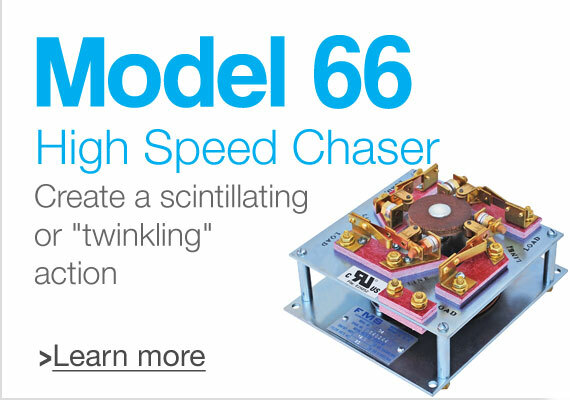 It started with simple on–off units, but quickly expanded the line to include flashers that perform a wide variety of functions including chasing, spelling, scintillating, and other effects. 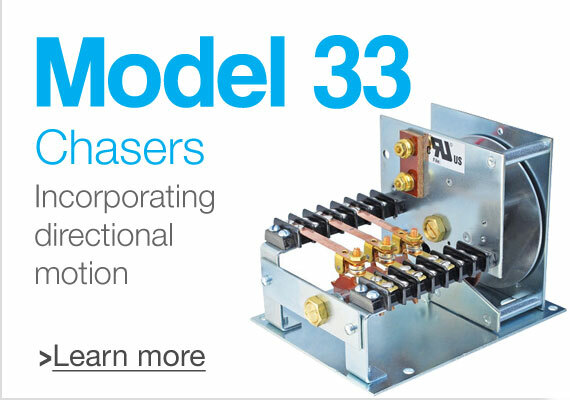 The design and technology used on mechanical flashers is no longer new, yet they continue to offer distinct advantages because of their design simplicity and reliable long term performance under varying operating conditions. 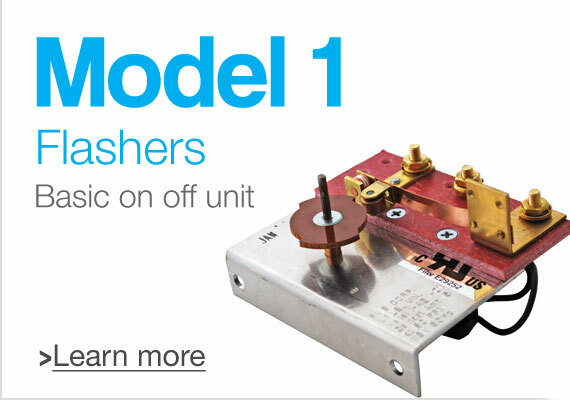 All of our units operate on standard 115 volt current. 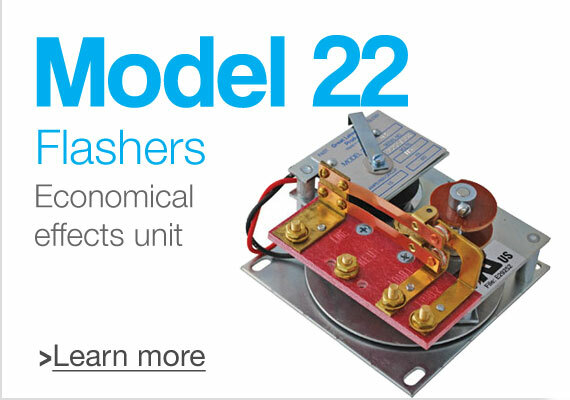 Motors are available in 220 volt by special order.